Seven months before Microsoft first released Windows 10 last summer, Neeraj Rajpal, CIO of legal giant Morrison & Foerster, said the pain of upgrading roughly 2,000 users to a new OS outweighed the potential benefits to the company. "I need a compelling reason, (and right now) I don't see it," he told CIO.com in January. Today, more than 200 million devices run Windows 10, including 22 million in business and education, according to Microsoft. Rajpal has also since changed his mind and expects to eventually deploy the new OS across his organization, thanks to a number of notable improvements, including better power management, Windows search, tablet mode, the Cortana voice assistant, and Office 2016 integration. "There are a lot of things [that are better in Windows 10,]" he says. It's difficult to accurately gauge the temperature of the entire business community, but interviews with a sample of senior IT executives indicate that unlike the troubled Windows 8 upgrade cycle, the shift to Windows 10 in large organizations is much less painful and often without a lot of drama. 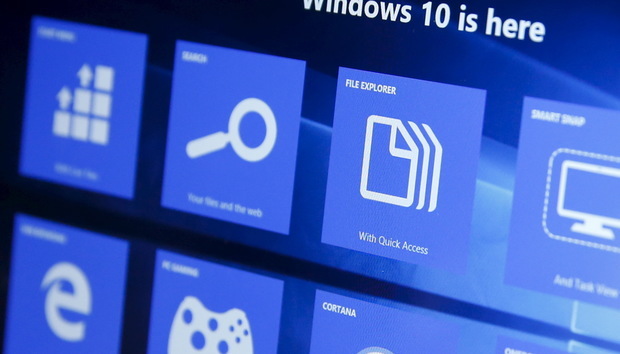 "We're surprised at how well the upgrades have gone," says Stanley Morency, interim CIO of the Kent School District in the state of Washington, which includes 28,000 students and more than 26,500 Windows devices, roughly 1,000 of which currently run Windows 10. Morency expects to finish the massive upgrade by September. Among the leading reasons to upgrade to Windows 10, according to the IT executives we interviewed, are enhanced security, the return of the Start menu and the need to replace aging hardware. There are pain points, of course. Jacky Wright, Microsoft's vice president of strategic enterprise services, concedes that the applications ecosystem "has been a bit slow," as software developers and manufacturers struggle to finish work on drivers and ensure app compatibility with the OS. For Rajpal, this lack of proven app compatibility with Windows 10 is a major concern, and he says he won't deploy the OS across Morrison & Foerster until he is sure the firm's critical applications will run smoothly. However, the CIO also emphasized that he is sold on Windows 10 and will upgrade his workforce as soon as developers deliver what the company needs, likely by next year. Though Microsoft's Edge browser has garnered generally positive reviews, its lack of support for extensions is another common user complaint, according to Wright. Microsoft said in October that Edge would support browser extensions at some point this year. When Department of Defense (DoD) CIO Terry Halvorsen declared that the millions of Windows PCs within the Pentagon and other agency installations around the world had to be upgraded to Windows 10 by the end of 2016, Robert Fecteau knew he faced an important opportunity and a challenge. Fecteau is the CIO of SAIC, a technology and engineering company that works closely with the DoD and other defense contractors. Because so many of his clients will eventually move to Windows 10, developing expertise with the OS early on was a competitive advantage for the company. "Because we are a federal systems integrator, we need to have experience we can transfer to our customers," he says. SAIC and Fecteau are currently in the early stages of upgrading roughly 9,600 computers from Windows 7 to Windows 10. Although some enterprises — including Microsoft — choose to upgrade without wiping hard drives, Fecteau opted for clean installs, a choice that gives his IT staff more control over configuration but also results in more downtime while images are installed on thousands of systems, he says. The Kent School District's IT team wanted to get familiar with Windows 10 as quickly as possible, so it participated in an early adopter program. It was a good learning experience, but working with an OS that constantly receives regular updates and changes regularly is a challenge, according to Leslie Binions, the district's lead technical support manager. The team's experience moving from Windows XP to Windows 7 was somewhat simpler, because the OS was mature when the district deployed it, he says. Some IT executives, though, are intrigued with the concept of "OS as a service" and embrace the regular updates. "I like the new philosophy," says Matt Cochran, IT manager for Hendrick Motorsports. However, Cochran says he still put some critical devices on a "long-term servicing branch" so IT could update them manually to ensure there aren't any glitches. Businesses that run the enterprise edition of Windows 10 can also use the system center configuration manager to turn off auto updates and make sure new code is tested before it goes live. "The last thing we'd want is for one of our planning or buying systems to suddenly be incompatible," says Sam Chesterman, worldwide CIO of IPG Media Brands, whose team manages more than 7,000 Windows machines. Chesterman and his staff are currently piloting Windows 10 on between 70 and 100 devices, he says, and the company plans to eventually upgrade all of its machines to the new OS. While he's generally satisfied with Windows 10 so far, Chesterman say he is concerned about data privacy and wonders if Cortana will eventually run afoul of European privacy regulations or the Safe Harbor agreement that regulates data transferred between Europe and the United States. "If I can't be absolutely sure that data collected in Europe by Cortana won't become a problem, I'll simply disable it," he says. Microsoft said last month that 22 million businesses and educational organizations run Windows 10. However, that's still a small fraction of all Windows PCs in the global enterprise. In other words, plenty of time exists for serious problems to emerge, but for now the move to Windows 10 looks like Microsoft's smoothest major OS transition in years, albeit a slow one.